The Knicks are high on interim coach Kurt Rambis. But that won&apos;t stop Phil Jackson from interviewing some additional candidates to give the organization a permanent full-time leader. While we&apos;d already heard Patrick Ewing is interested in returning to the team, we&apos;ve now also learned that ex-Cleveland coach David Blatt is amongst the candidates the franchise itself has interest in. Blatt, as you probably recall, was fired by the Cavs despite holding a 30-11 record, and having them sitting in first in the East the year after they made the damn Finals. When the front office gave him his walking papers this past January, they gave him the dishonorable distinction of having the highest in-season winning percentage (.732) of any coach who&apos;d ever been canned. 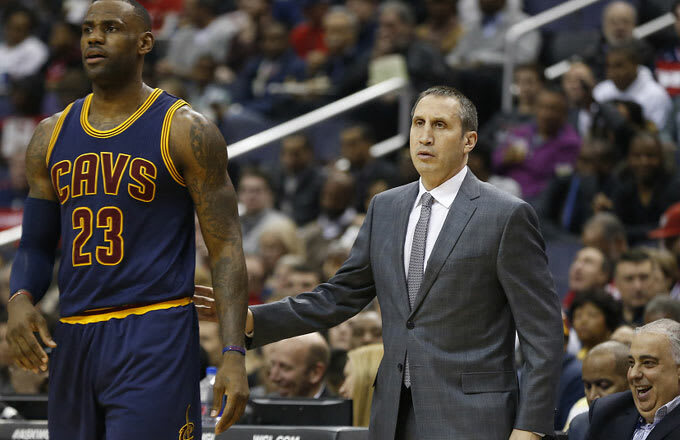 Blatt is said to prefer staying in the NBA over returning to Europe. Perhaps because he doesn&apos;t want his legacy to be that he was an assistant to player-coach LeBron James. In addition to Rambis, Ewing and Blatt, New York is also said to have some interest in Warriors assistant Luke Walton who was 39-4 this season in Steve Kerr&apos;s absence.